For those of us who are involved in trying to rehome and help stray animals in Romania the last few weeks have been extremely tramatic and upsetting. Conditions for strays in Romania have always been bad, and we have reported in the past about the mass “euthanisia” pogroms where dogs in the street are poisoned or beaten to death. However these have always been one off incidents, a reality and a constant fear but none the less not a daily occurance. These last few weeks this has suddenly changed with a mass hysteria and frenzy of attacks against dogs, all as the result of one dog attack. 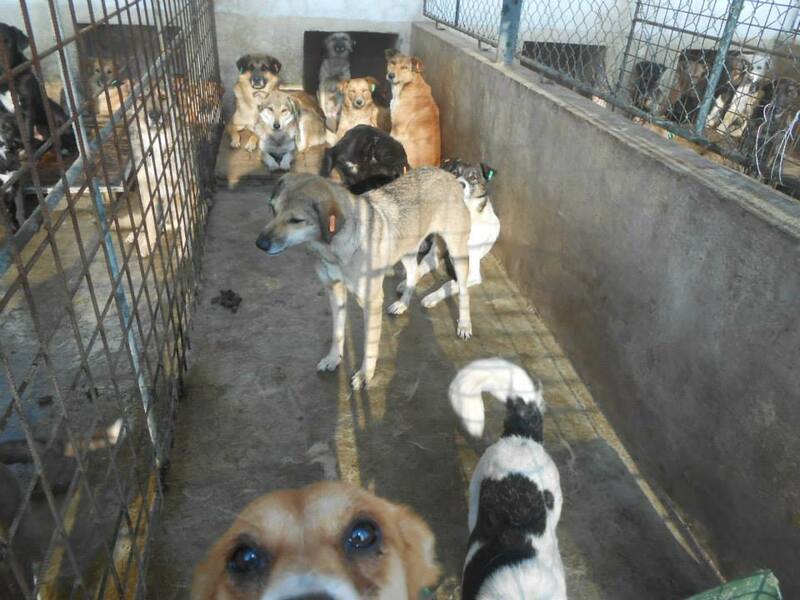 The pictures and stories coming out of Romania are shocking. They are horrific. They are truly barbaric. Most of all they show a level of inhumanity and violance towards other living beings that has rarely been seen on this scale in our time – and this is happening in an EU country. People on the ground, working day to day with shelters, rescuing dogs and even pet owners, are now living in constant fear – not only for the dogs but in some cases for themselves too as there have been cases of people walking dogs being attacked while their dogs are beaten to death. Photos show gangs of men beating dogs to death with bricks, streets littered with the bodies of dead dogs and there has even been a report of a dog being raped. How can this be happening?! This video shows some of the horror – but be warned it is extremely upsetting. 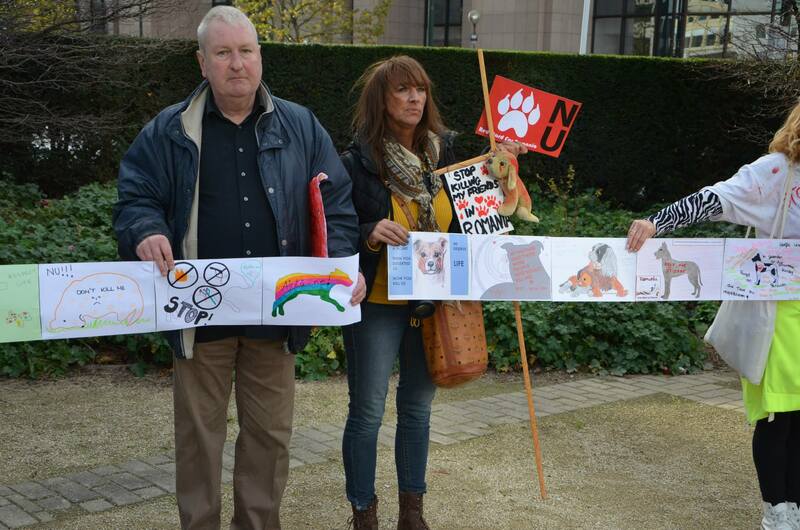 Across the world people are speaking out in outrage and there have been demonstrations and petitions. This blog alone has seen a huge response to the posts we have written and we have also been contacted by journalists. As if often tthe case though so far this has not become an interest that has sparked any political interest, despite the blatant breaking of EU laws. However this will hopefully soon change with large demonstrations planned in Brussels in conjunction with an EU meeting around animal welfare. 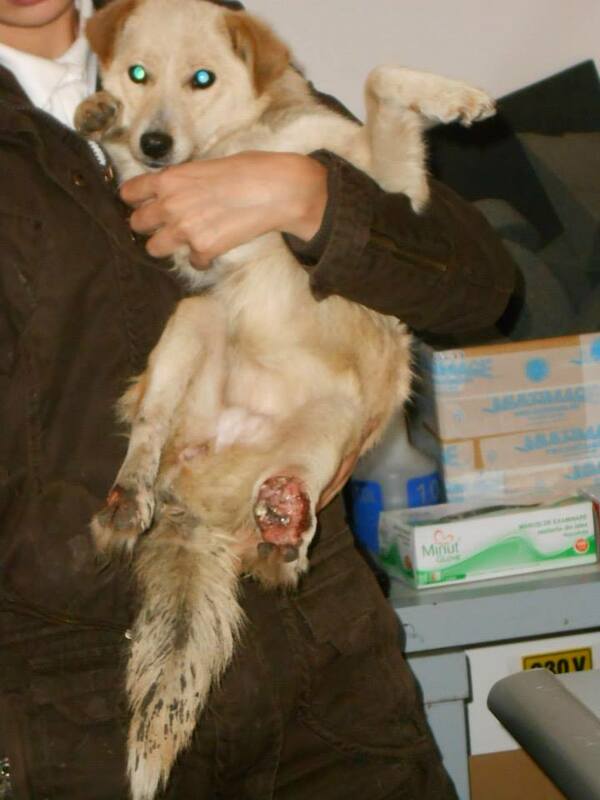 This along with growing interest from the media will hopefully help start to put an end to the horror in Romania. In the meantime though we cannot risk any more lives and we have to continue to get as many dogs to safety as possible. 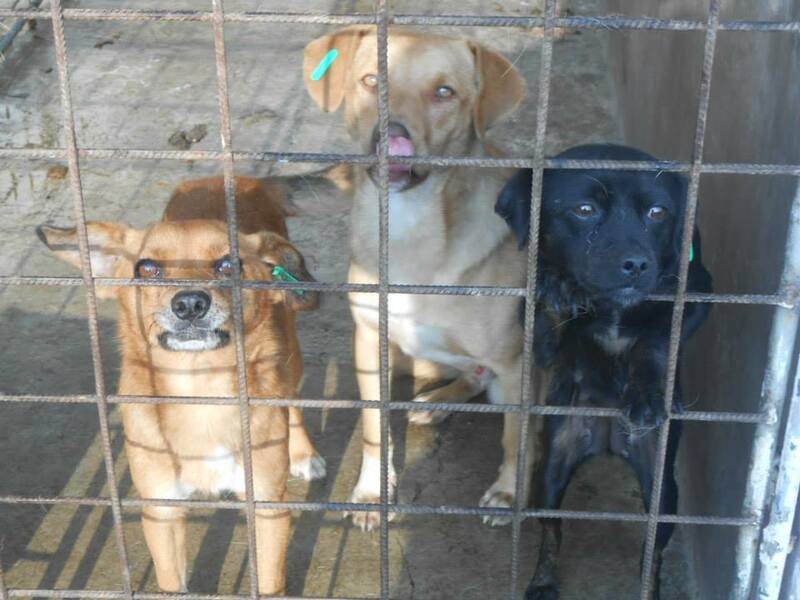 We ourselves got 14 dogs out of Romania today, all going to foster and forever homes in other European countries. There are many many more in need of homes. 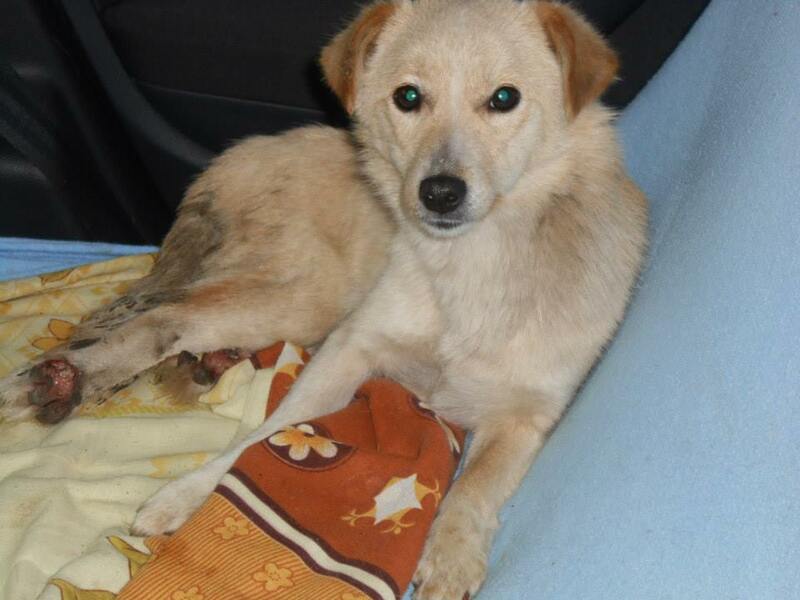 Through this all we also have to deal with the day to day tradegy that happens in Romania, like poor Maya who was hit by a car two months ago and has somehow managed to survive despite having lost half her back leg and having spinal damage. Not one person thought to help her or get her to a vet – and every day people would pass by this clearly severely injured dog. Whether she will make it or not we don’t know but we will do all we can to help her and if she has not hope then to make sure she at least has no more pain and sees some love before going over the rainbow bridge. 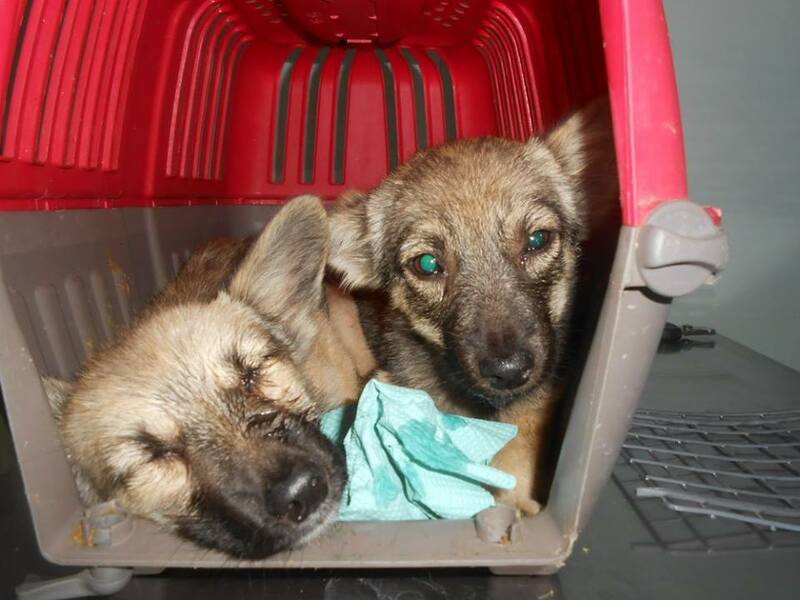 Along we her we also have two new medical cases rescued from the shelter – two little puppies both of whom are ill as a result of the poor conditions in the shelter. 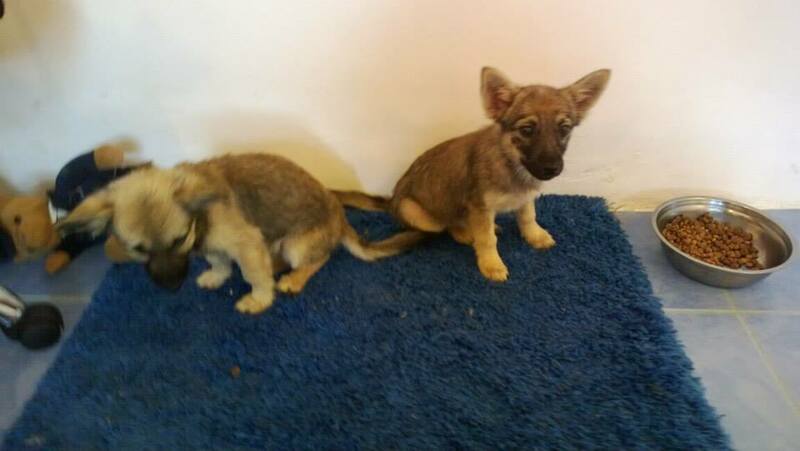 Once they are better we hope to get them out of Romania or into safe housing too – but for now they are safe in foster care and being well looked after. Now more than ever we will need supporters to help us keep paying for the day emergencies like Maya, but also so that we can start a concerted drive to save as many dogs from this animal holocaust as we can. We will shortly be starting a formal fundraiser campaign. We could really do with some corporate and private sponsors, people who can help fundraise, and people who can foster dogs while they are found forever homes and best of all people who can give one of these poor souls a safe and happy future. The sad thing with all of this – most of these dogs are still trusting and friendly and we know from experience they make the most amazing pets, bringing so much joy and love into households. 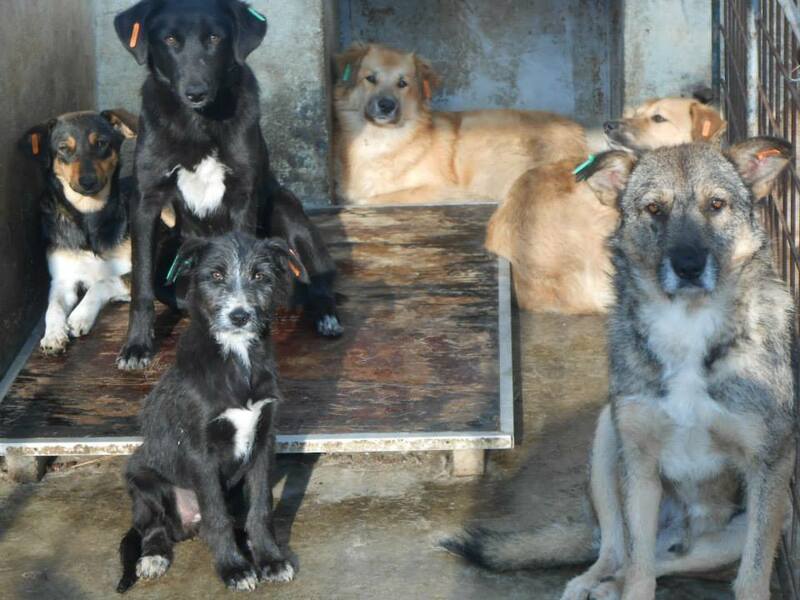 They all deserve better so please help us help them!